We can perform anything from a basic oil change to complete rebuild. We offer a free oil change with any brake, suspension or exhaust work. Add "OILPROMO18" to services required when scheduling. Preventative maintenance helps ensure the life of your vehicle. Please give as much detail as possible including make/model/year of car & the problem you are experiencing. Please select the best time for you for us to look at your car. You will be contacted with a specific time within the time frame you select. You will be contacted with a specific appointment time in the time-frame you have selected. If you have a restricted time-frame please note that under "Services Required". Please be advised no appointments will be made on Sundays. 2601 E. Dublin Graville Rd. We have had our 2 vehicles serviced by Micah for a number of years now and just added a third car which our son is driving. He is dependable, honest and his reasonable rates are reflective of it. We have referred friends and family and will continue to do so. It's hard to find someone with such high and ethical standards. I have been coming to Micah’s since 1997. His expert care kept my 1988 Plymouth Reliant on the road. In 2004 I handed it off to my son who drove it until 2007. Over the years he did several brake jobs, replaced a radiator, alternator, shocks, brake lines, mufflers and flushed the transmission. In 2004 I purchased a new F 150 with now 100,000 plus miles which he currently maintains. He is also taking care of several other family vehicles including a 2002 Mercury Sable, 2004 Buick Century and a 2006 Infiniti G35. When I and my family bring their car/truck to Micah we know it will be repaired professionally and economically. We have never been disappointed. For years I did my own car maintenance and parts replacement. Now it seems things are too complicated, I'm getting older and I just don't have the time to work on my own cars. Where it used to be fun, now it is a chore. I was very skeptical about using a mechanic/shop until I was referred to Micah at VanDyne Auto. I found I already knew a good number of people that utilize his skills and expertise. I couldn't be happier I found him. Micah is a genuinely nice person, he is knowledgeable, proficient and extremely reasonable....you will pay less for excellent service with Micah....period. I am picky and I don't like others working on my stuff, but I trust Micah to do the job and do the job right. Give him a try, you won't regret it. 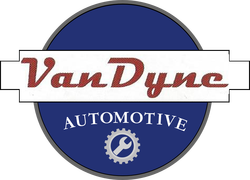 I used to do all of my own maintenance and repairs, but now I go to Vandyne Auto. Micah does great work! He is thorough, correct, and does the complete job. Best of all, if it isn’t broke, he doesn’t fix it, or try to sell you service you don’t need. It is important to have a mechanic that you can trust and I have trusted with my cars to Micah Van Dyne for 15 years. Now my 3 children trust Van Dyne Automotive for their vehicle needs.